For years, electric lawn mowers were little more than a novelty. Most were corded, meaning you were tethered to an electrical outlet, constantly moving the cord out of the mower’s path. 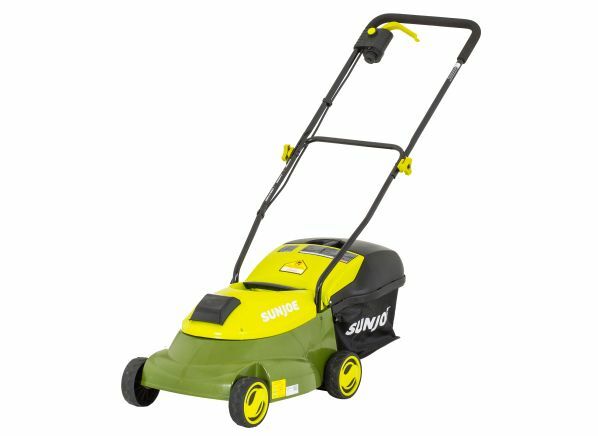 And early iterations of battery-powered mowers (often expensive and underpowered) could rarely cut a ¼-acre yard on a single charge. That all changed a few years ago, when the Ego LM2002 became the first electric model that performed well enough in our tests to make CR’s list of recommended mowers. Since then, other manufacturers have gotten serious about investing in lithium-ion battery technology, and the results speak for themselves. “Today, the best battery-powered push mowers cut as well as comparable gas versions,” says test engineer Frank Spinelli, who oversees CR’s lawn mower testing. In our lawn mower ratings, we now recommend more battery push mowers than gas push mowers. And prices have come down, too. You can now score a top-tier electric mower for about $400. Although mowers that use an electric motor are still typically more expensive than gas mowers, a big part of that cost lies in the lithium-ion battery that powers the machine. But that investment can pay off in other ways: You can use your mower’s battery to power other outdoor gear from the same brand, power tools such as string trimmers, leaf blowers, snow blowers, and more. To get you ratings and reviews of the latest models by early spring, our testers travel to Florida to conduct tests in late winter at grounds we maintain year-round. We plant 1,800 pounds of grass seed (predominantly annual rye, prized for its dense growth) and spread 500 pounds of fertilizer. For our tests, we cut 450,000 square feet of grass in three modes—mulching, bagging, and side-discharging—covering level turf, slopes, and in ditches to get a feel for each and every model. We also review the convenience features on every model we assess. The Overall Score for each model in CR's mower ratings incorporates all that performance data, along with predicted reliability and owner satisfaction ratings from our latest member survey. The survey leverages data on more than 43,916 lawn mowers and tractors that members purchased between 2008 and 2018. 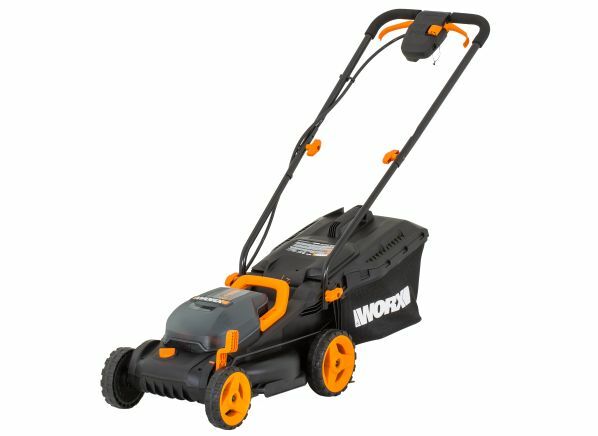 We test battery-powered lawn mowers from a variety of brands, including Black+Decker, Craftsman, Echo, Ego, DeWalt, Husqvarna, Ryobi, Sun Joe, Troy-Bilt, and Worx. Read on for ratings and reviews of this year’s very best battery-powered walk-behind mowers—as well as a few models that miss the mark. Only about a third of the battery push mowers in our ratings perform well enough for CR to recommend, and among self-propelled battery models, only three earn that distinction. And our testers have identified a number of models that aren't worth your money. Here are a few of the battery-powered push mowers that struggled in our cutting tests.